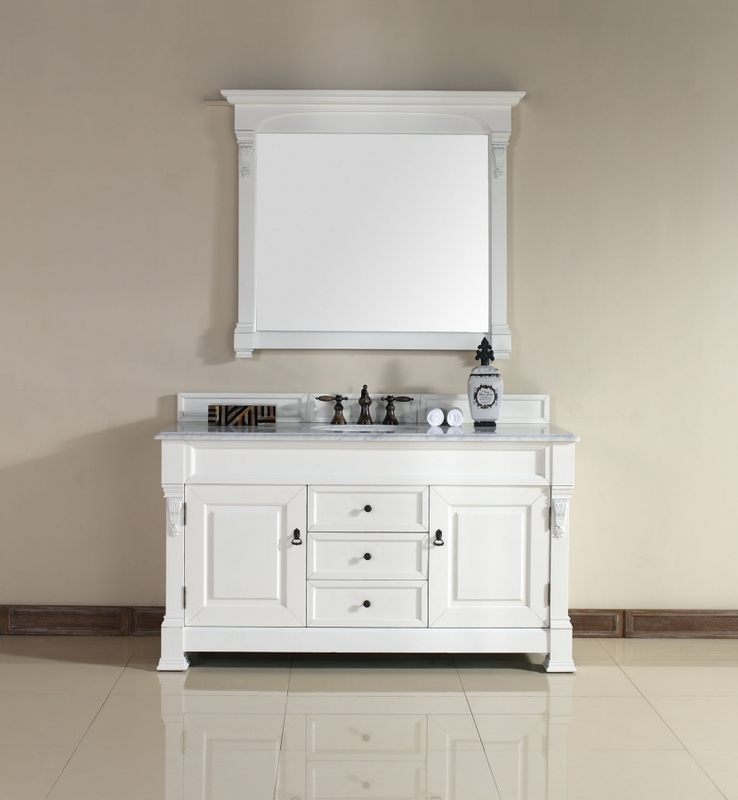 The clean lines of the transitional style of this piece are greatly enhanced by the cottage white finish of the wood. The inlaid panels of the cabinet and door fronts are well accented by the decorative carvings that adorn the front as well. The antiqued brass hardware pulls are a very nice touch to the design as well. 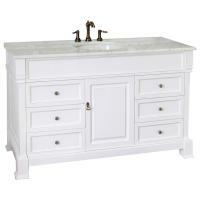 At five feet in length and 23.5 inches deep, this piece provides great space for the counter top and for storage. With two cabinets, each with a built in shelf, and three drawers in the center, there is plenty of room to organize all the items in the bathroom neatly and out of the way. 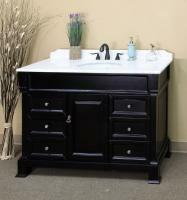 There are several options available for the color and material of the counter top. Having these choices is the best way to get just the right one for the bathroom dÈcor. 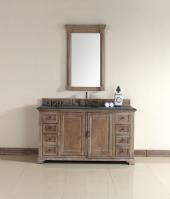 There is also a matching mirror available which would make this the perfect set for the home.